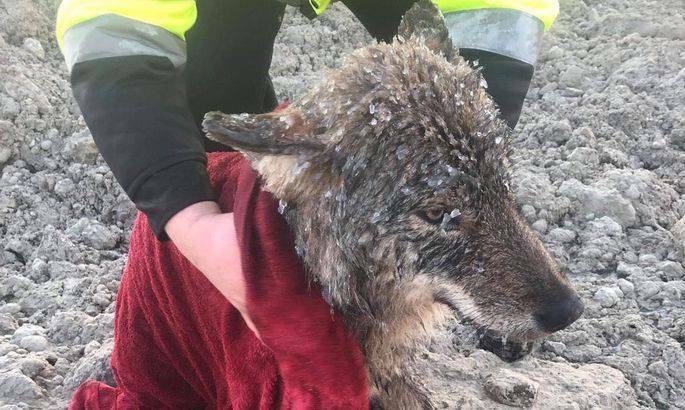 A group of young Estonian construction workers rushed to rescue a “dog” that had fallen through the ice on the Pärnu River, but the vets later established the animal was, in fact, a young wolf. The incident happened near the Sindi Dam, close to the namesake Estonian town, according to the Estonian Union for the Protection of Animals. The union said in a statement that at 8 AM on Thursday morning they received a phone call from a young gentleman called Robin Sillamäe, who said he and his colleagues had “rescued a dog” from the Pärnu River. The men had noticed a panic-stricken animal in the middle of the icy river and immediately sprung into action. They managed to push ice chunks away and clear a path for the animal, who had enough strength to swim about 100 metres to the shore. Once safely on the shore, the animal was stiff from exhaustion, low body temperature and cold, its fur covered with pieces of ice. The men quickly brought a towel from their nearby car, wrapped the dog-like creature in it – and took the animal to a car to be kept warm. The animal protection union quickly found a pet clinic in Pärnu – Estonia’s fourth largest town, about 10 kilometres (six miles) from Sindi – and advised the men to take the animal there for a medical check-up. Once in Pärnu, while transporting the animal from the car to the pet clinic, the vets began to suspect that the “dog” might, in fact, be a wolf. They asked for advice from a nearby hunter, who confirmed their suspicion. In the light of this new fact, the animal protection association advised them to muzzle the wolf. 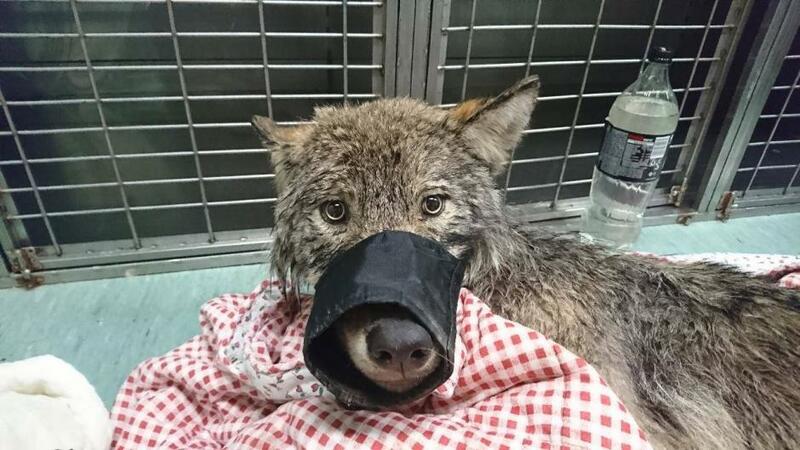 The vets later said the wolf was uninjured and was recovering quickly from its desperate fight for survival. 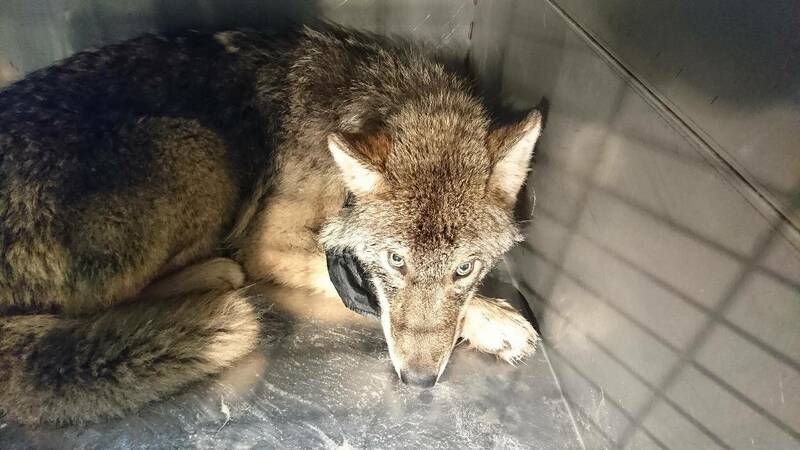 The wolf was a young male, born in 2018, and, according the vets, would have most certainly drowned had the boys not rushed to its rescue. 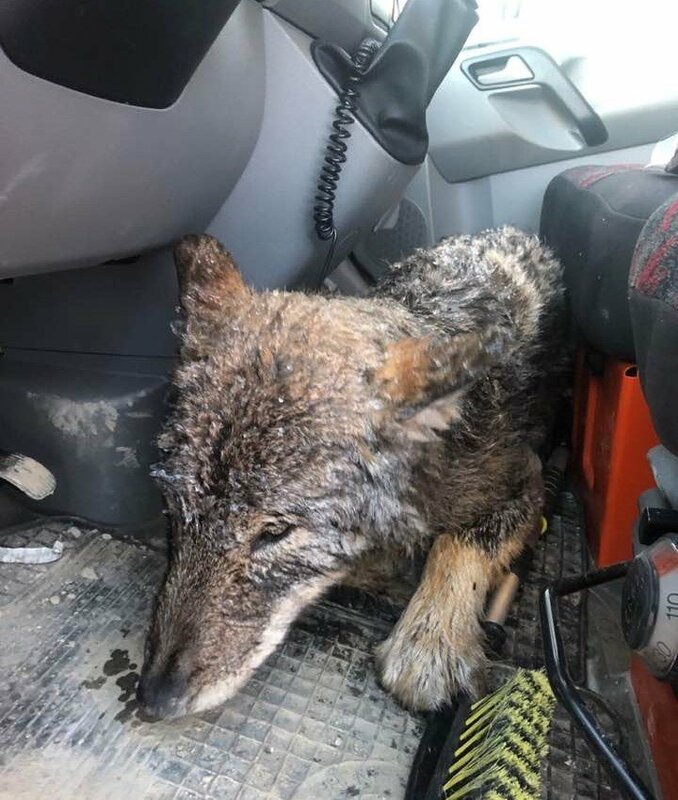 According to the Estonian Environment Agency, after a GPS tracker was attached to the neck of the wolf, the animal was released back into the wilderness on Thursday evening. There are currently about 200 wolves in Estonia, divided among 20-25 packs. The wolves are distributed almost evenly across the country, but live mostly in large wilderness areas. 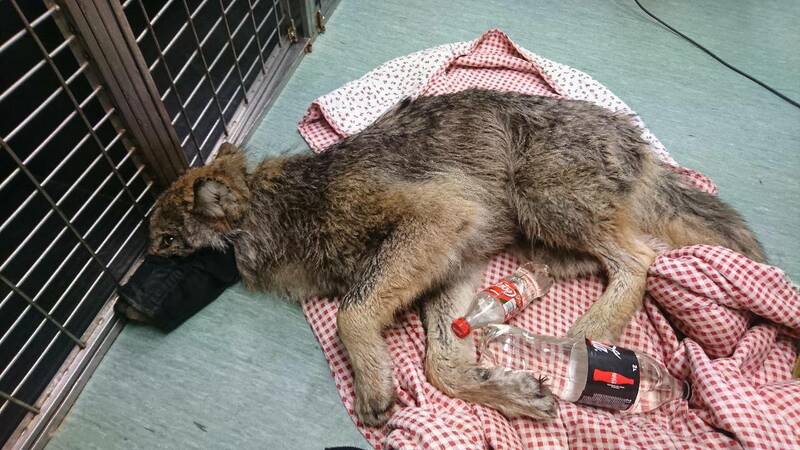 Cover: The rescued wolf at a pet clinic in Pärnu (images courtesy of the Estonian Animal Protection Association).